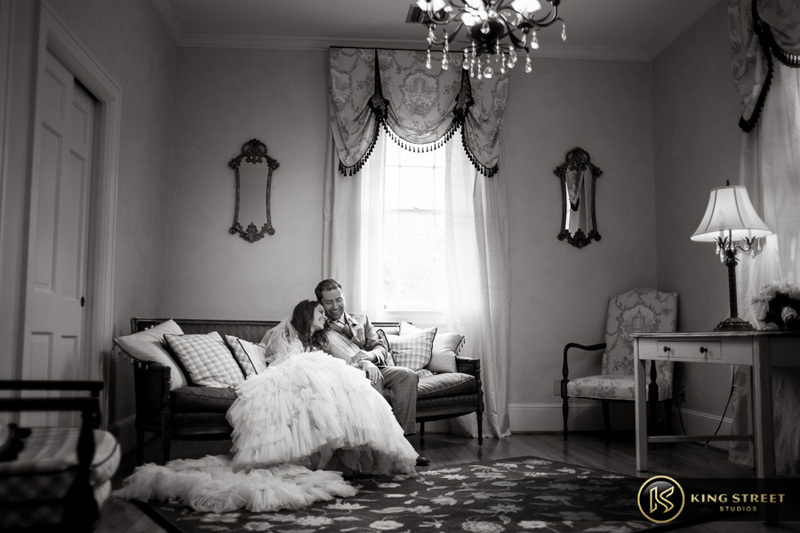 We met Randi and Ross a couple of years ago when they reached out to us to have their engagement photos shot. 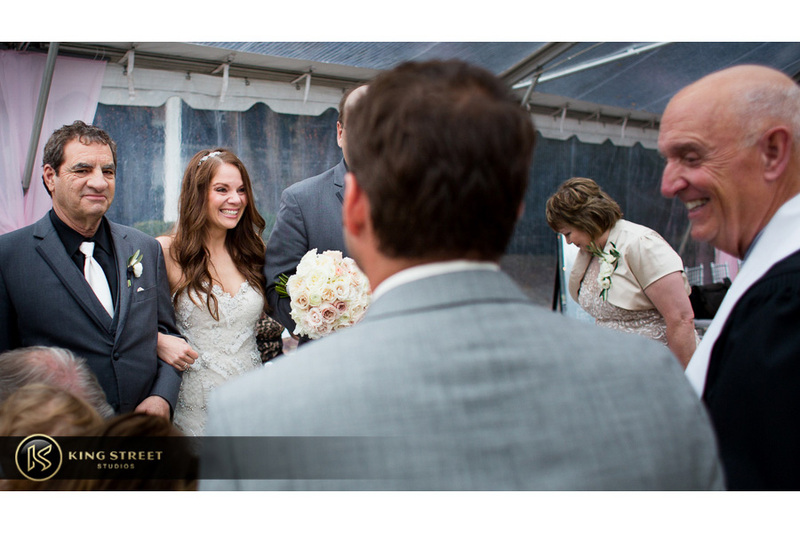 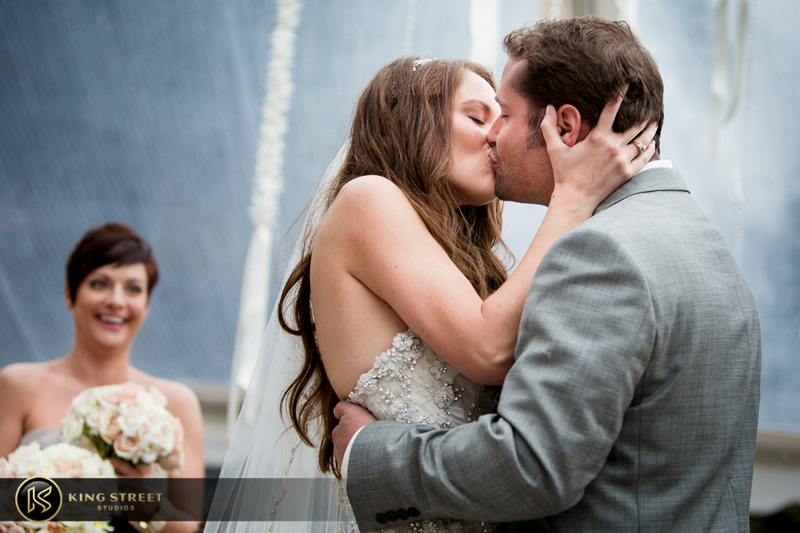 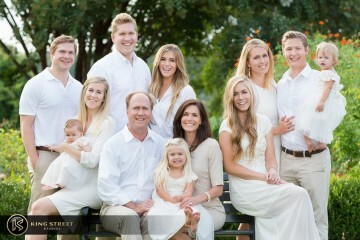 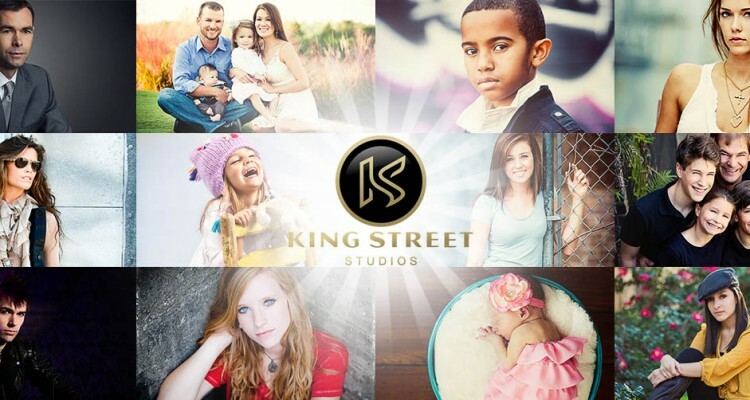 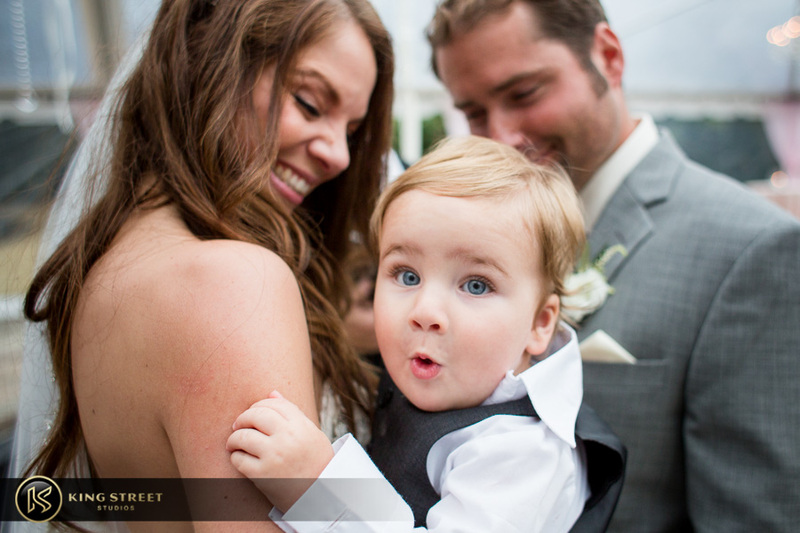 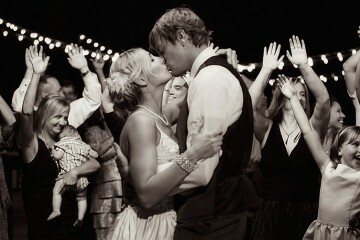 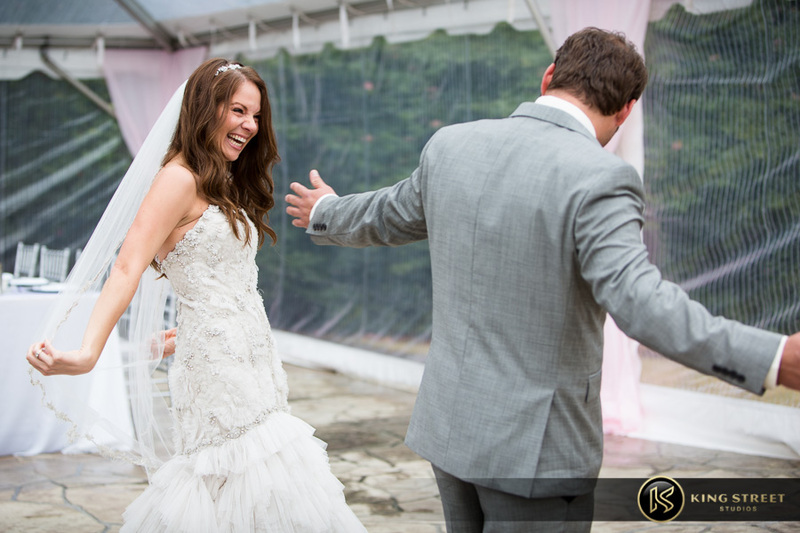 We were so happy when they got back in contact with us asking for King Street Studios to shoot their wedding! 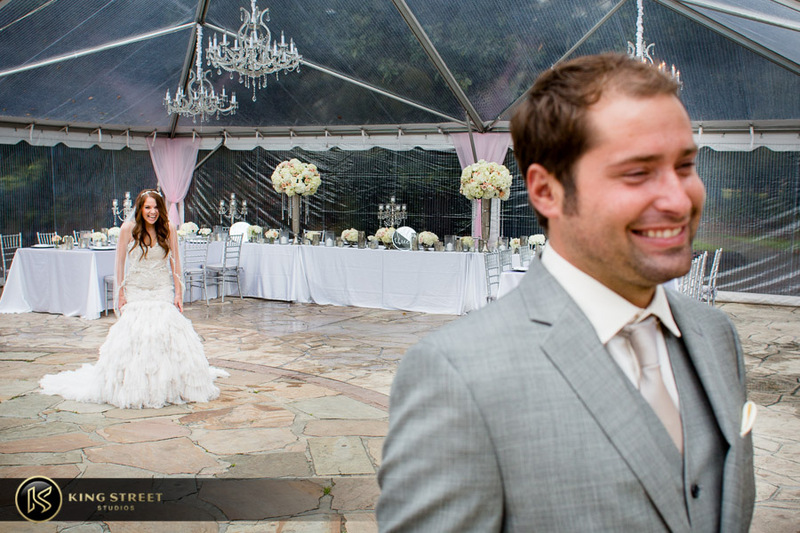 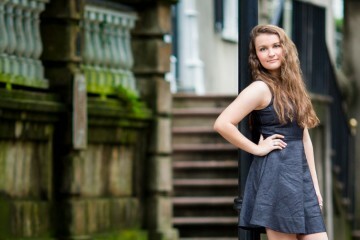 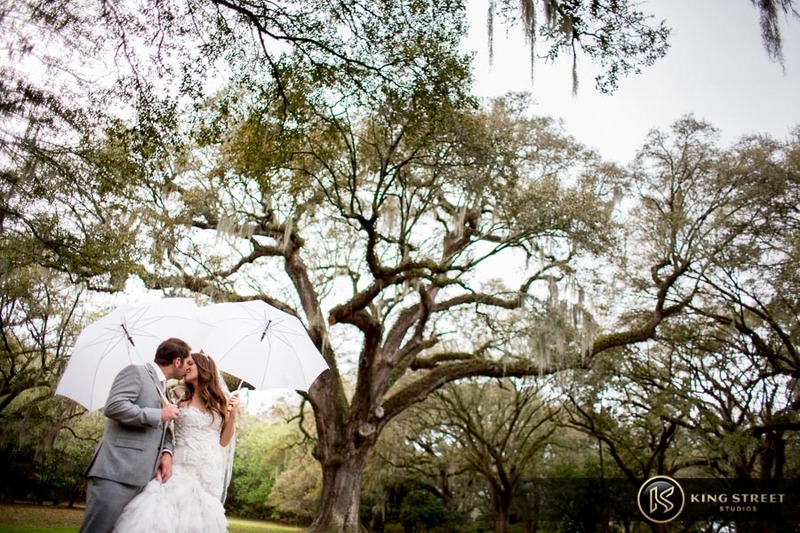 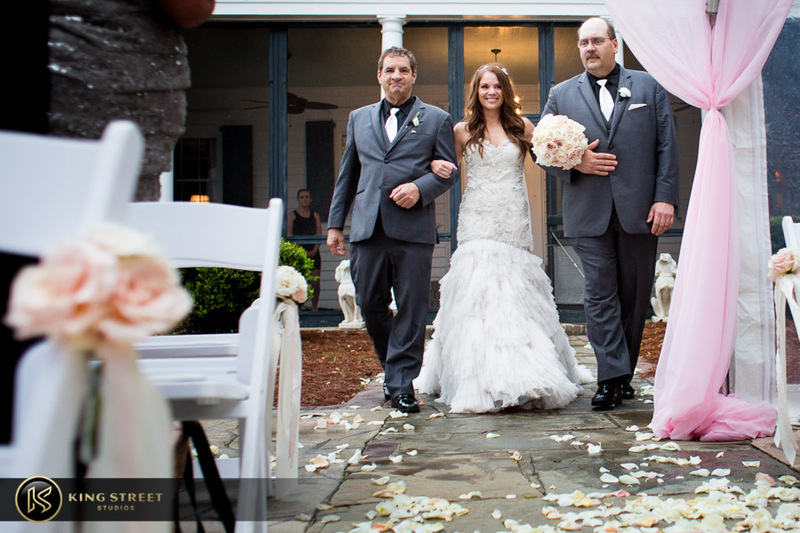 Knowing what beautiful scenery Charleston has to offer, they didn’t even think twice about having their wedding somewhere else, even if it was yet another rainy day they had to deal with. 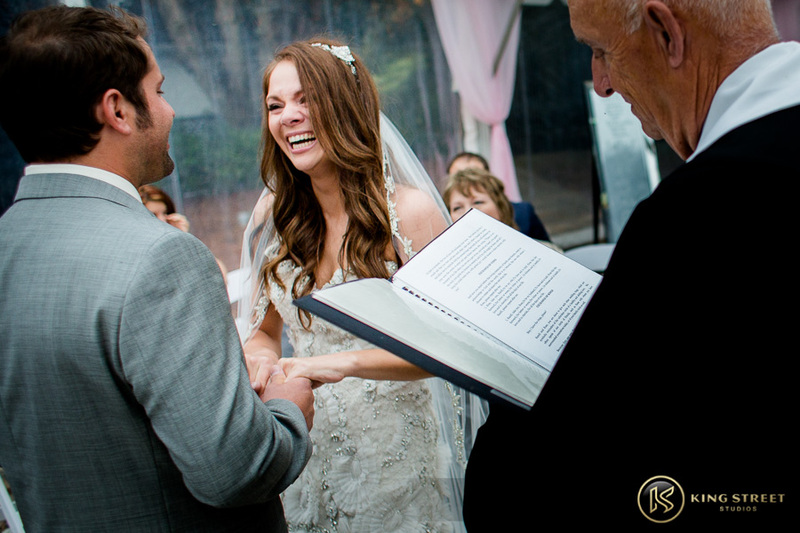 They put on those same electrifying smiles to reassure there wasn’t a doubt in their minds that this would be the greatest day of their lives. 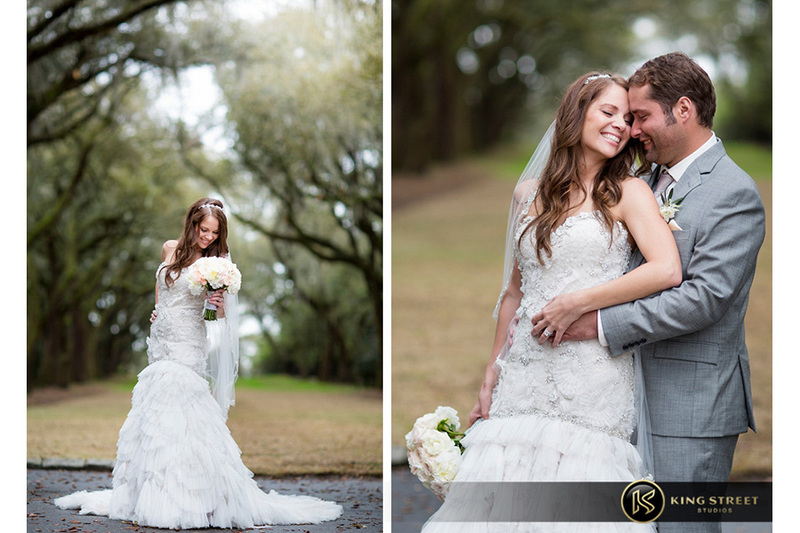 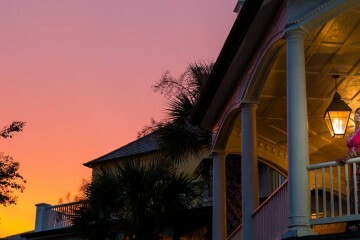 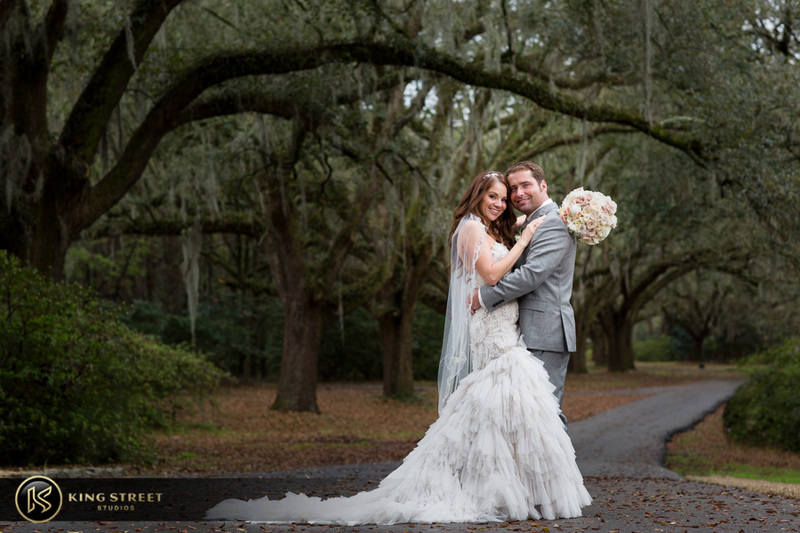 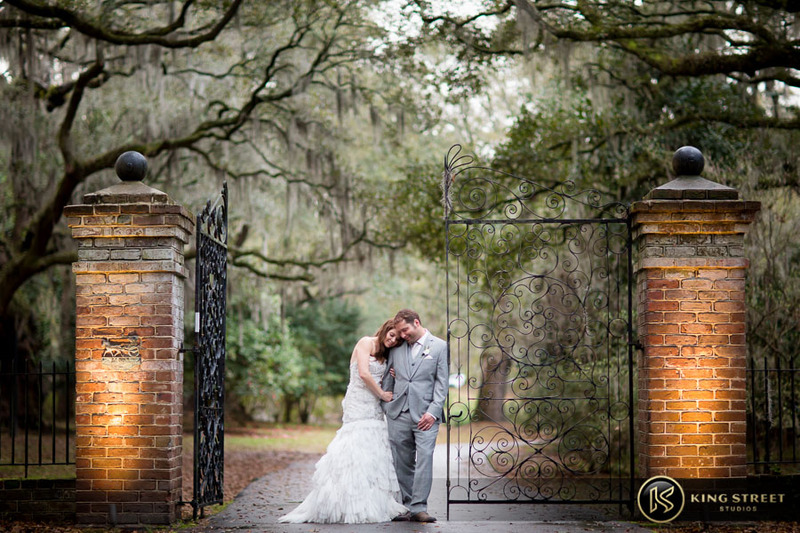 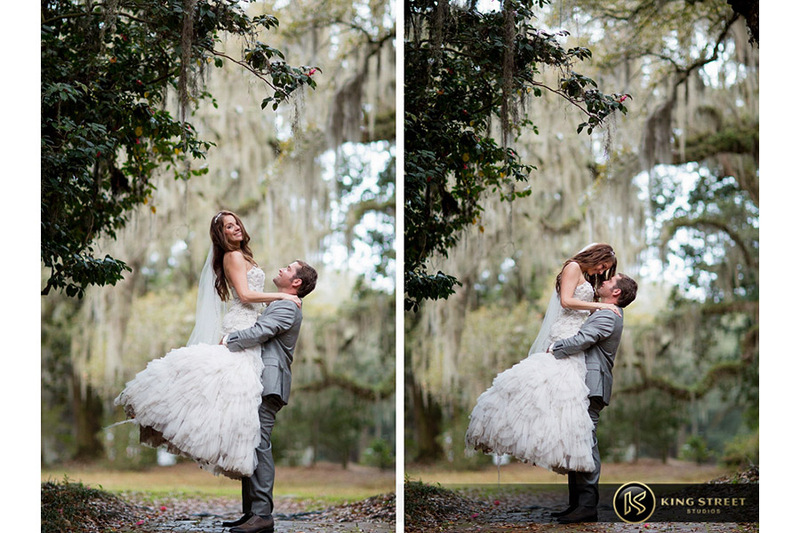 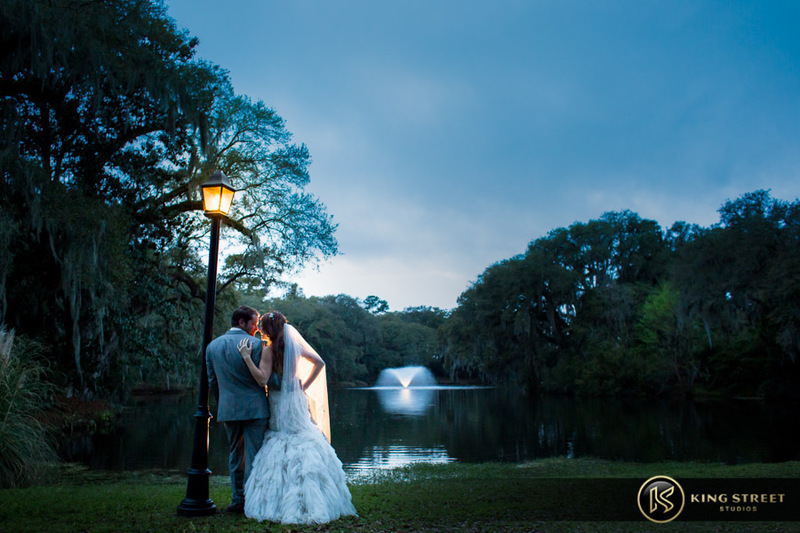 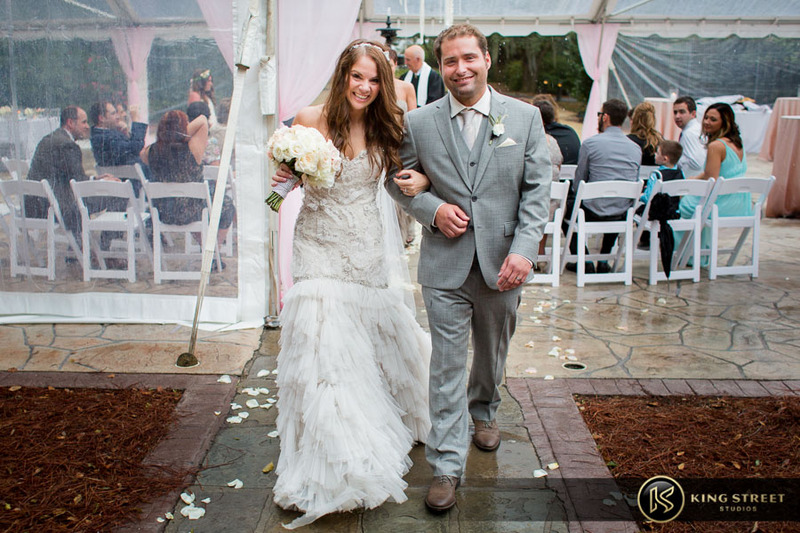 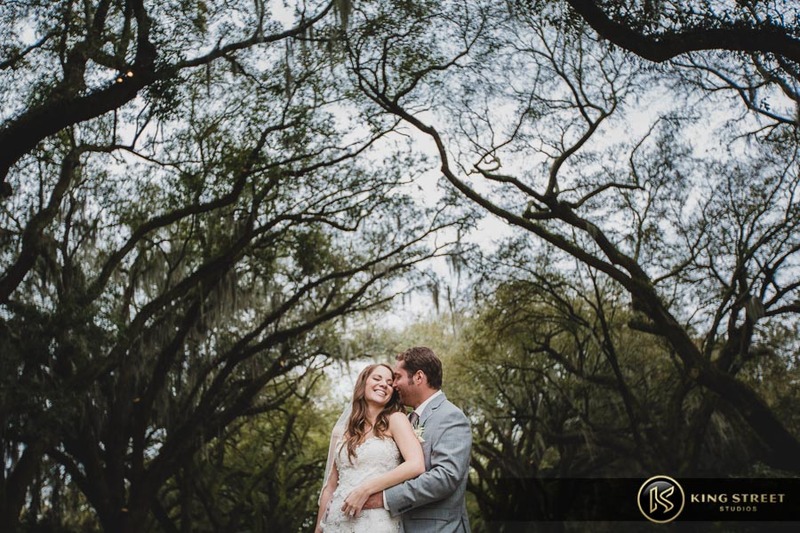 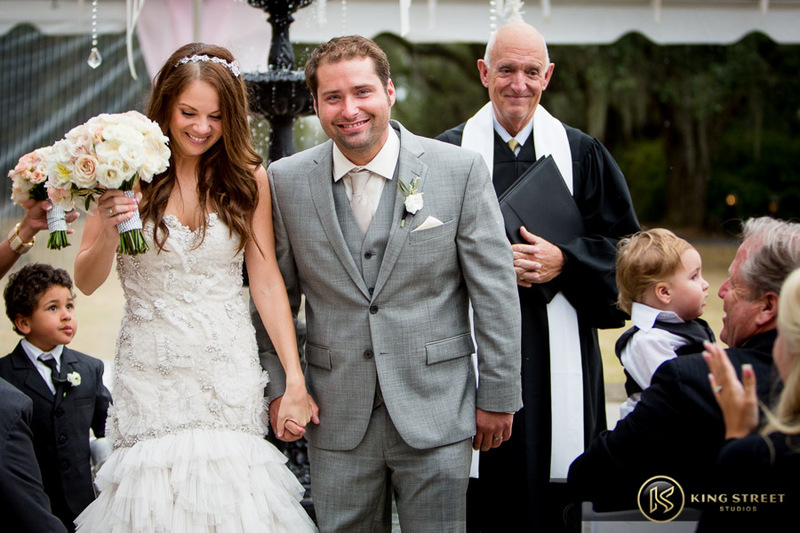 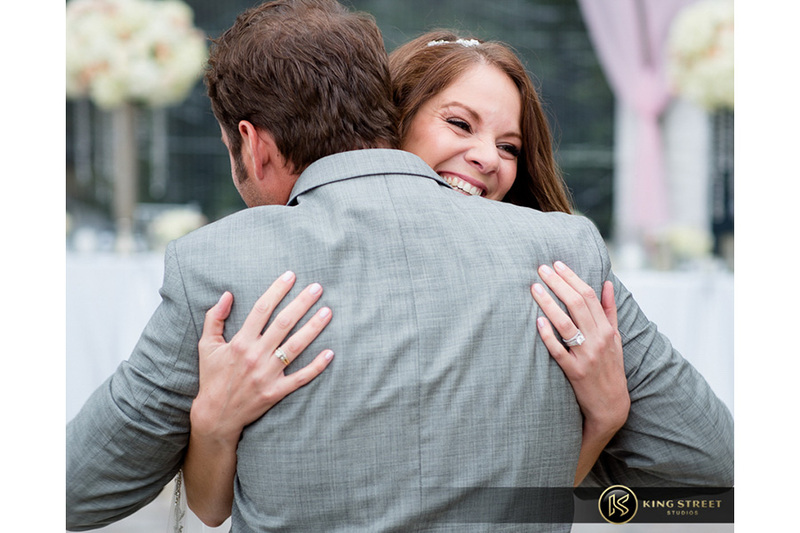 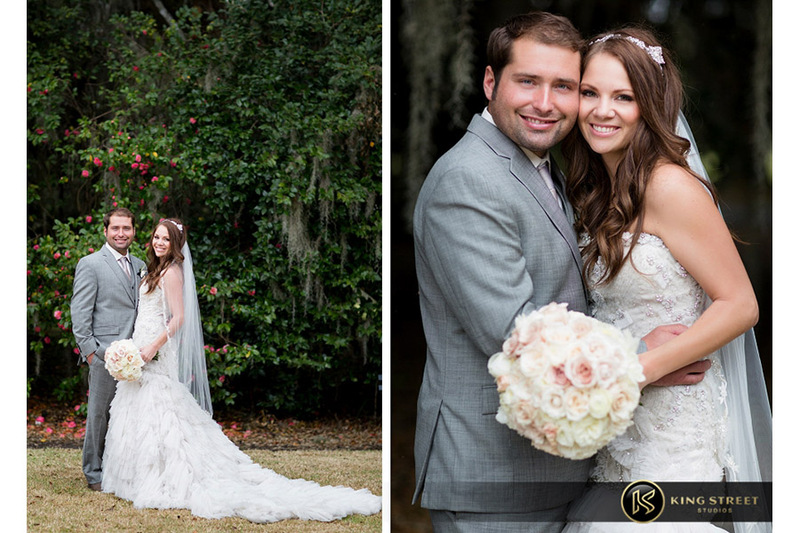 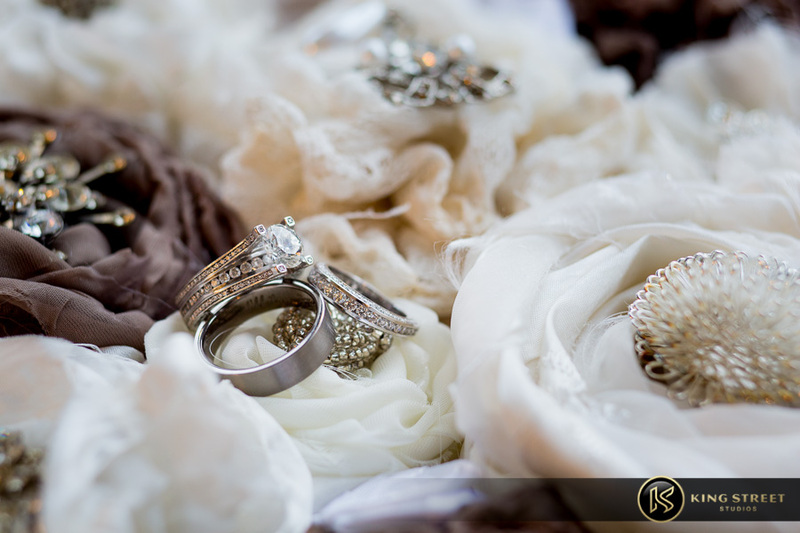 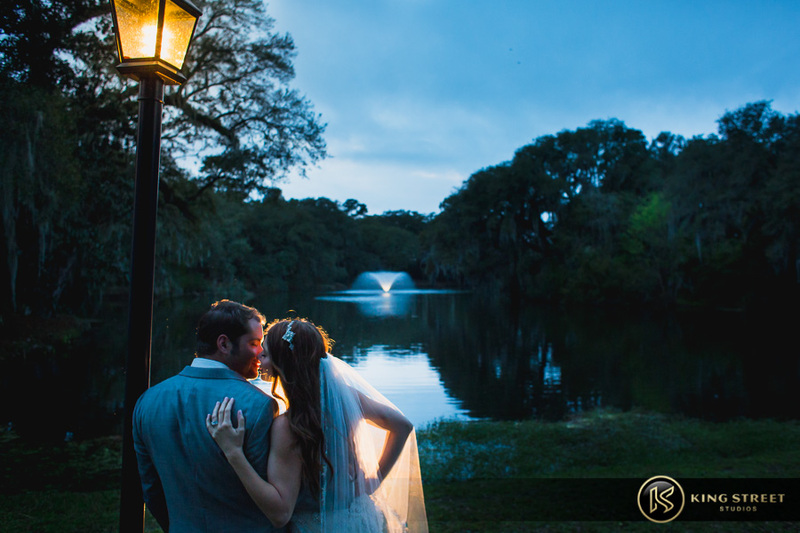 Randi and Ross had their wedding at the beautiful Legare Waring House at Charles Towne Landing State Historic Site. 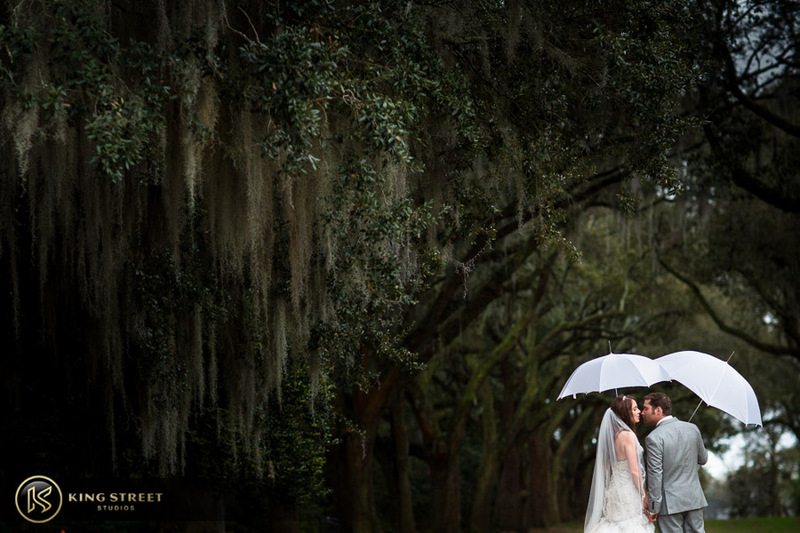 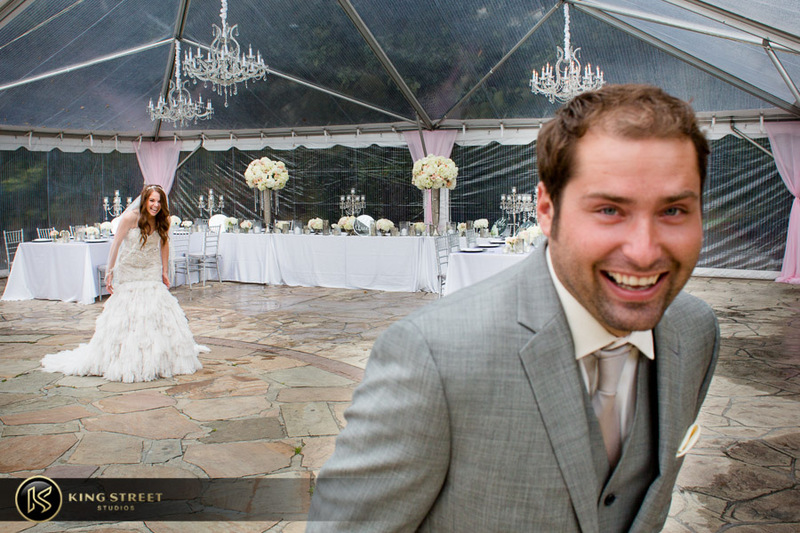 With the gray skies above them, Randi and Ross weren’t affected in the slightest by the rain coming down overhead. 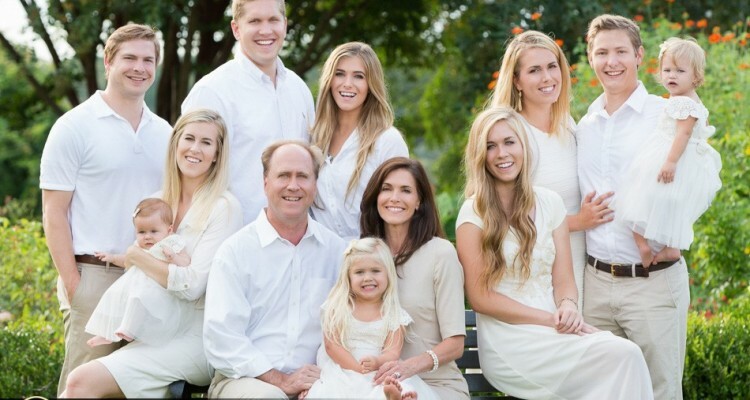 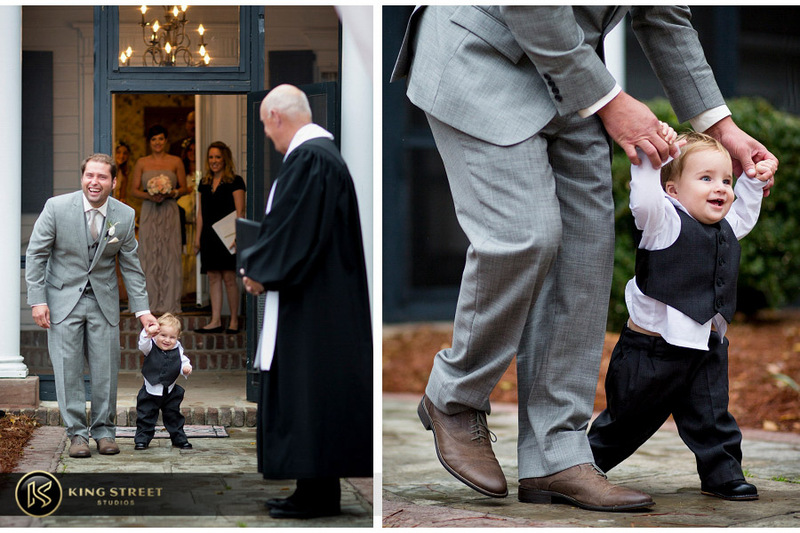 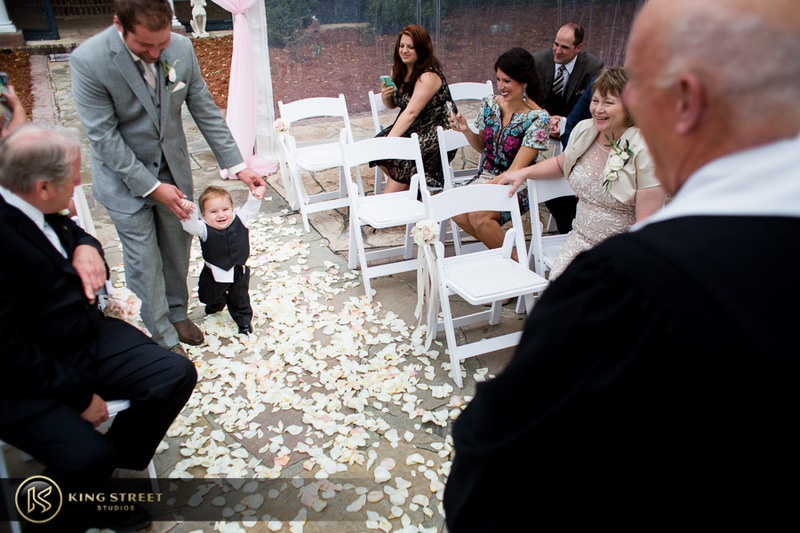 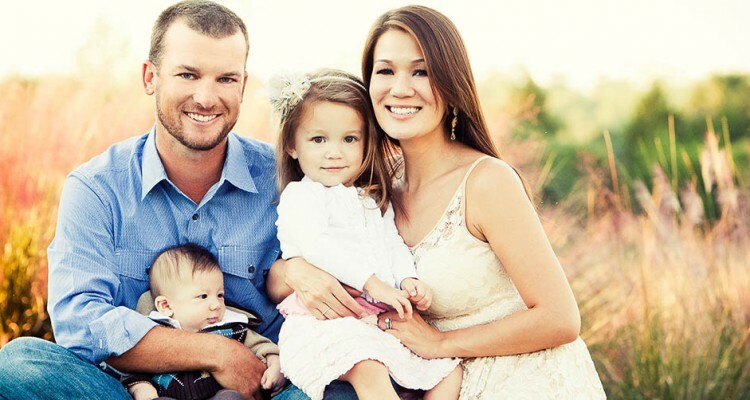 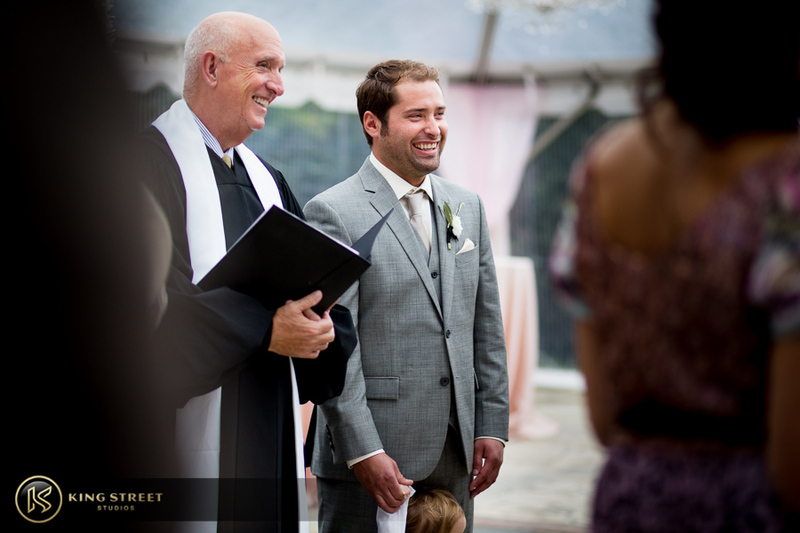 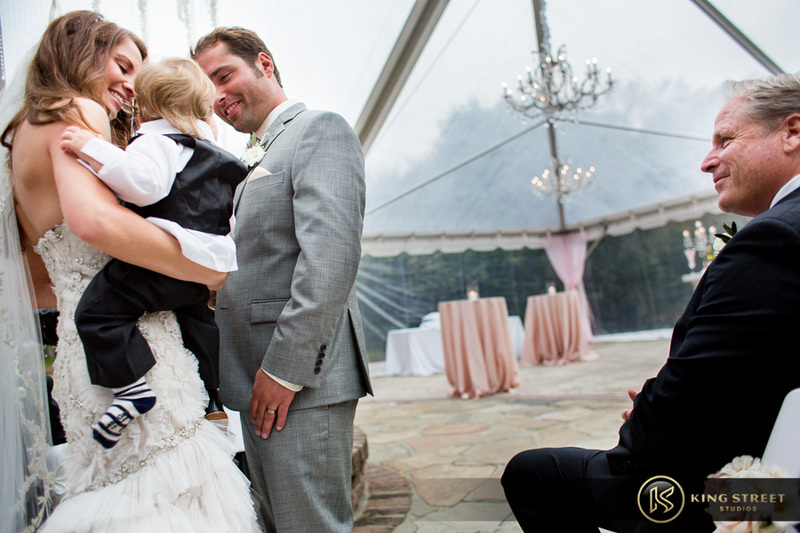 Having a small crowd of family and close friends, as well as their one year old son at the altar with them during their ceremony was the perfect wedding recipe. 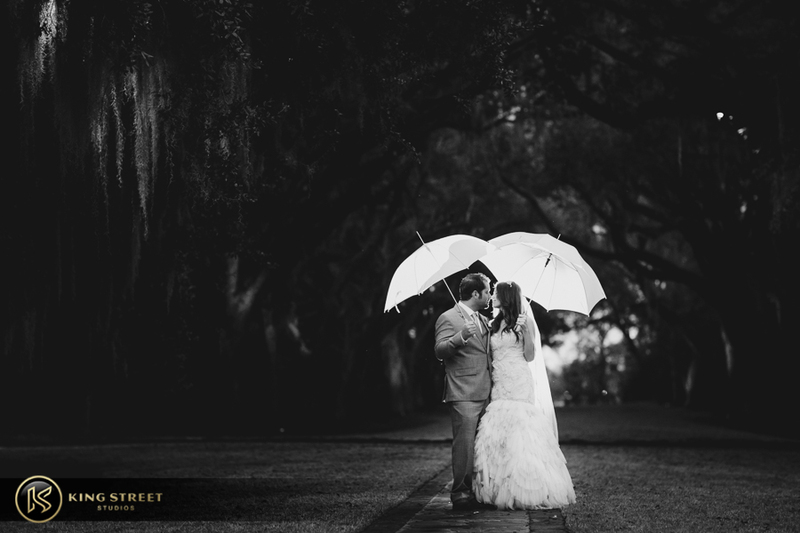 As the rain began to slow down to more of a drizzle, we took the newlyweds and a couple of umbrellas out around the grounds for some more shots. 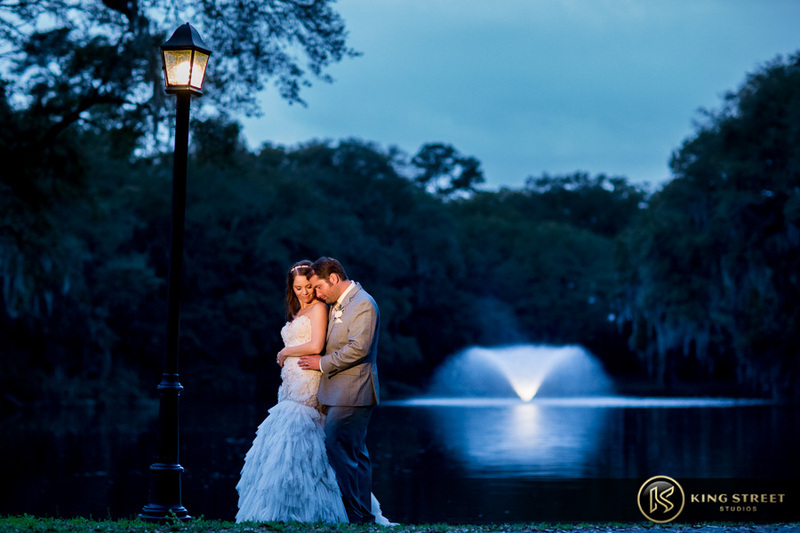 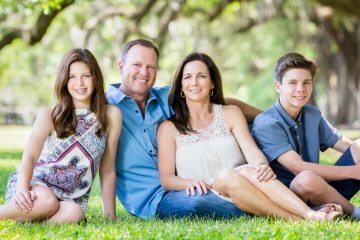 Although the skies were overcast, Todd was able to utilize the consistency of light every photographer dreams about when posing Randi and Ross. 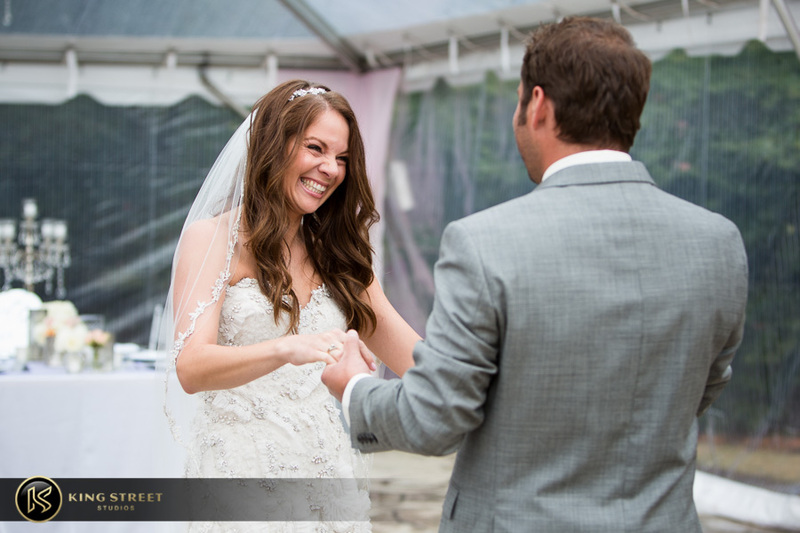 When we arrived back from the post­-ceremony photoshoot, Randi and Ross joined their family and friends underneath the tent for a delicious wedding dinner. 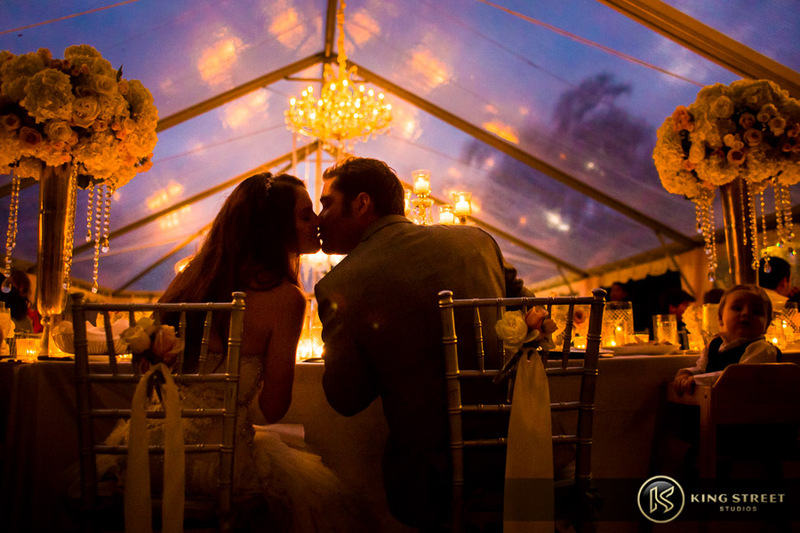 The amber lights from the chandelier hanging above them and the burning candles surrounding them made the tent glow underneath the dark gray sky. 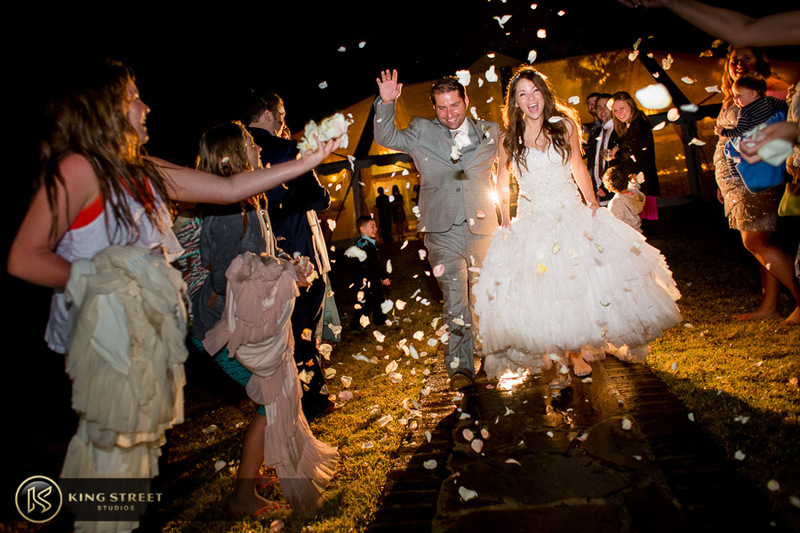 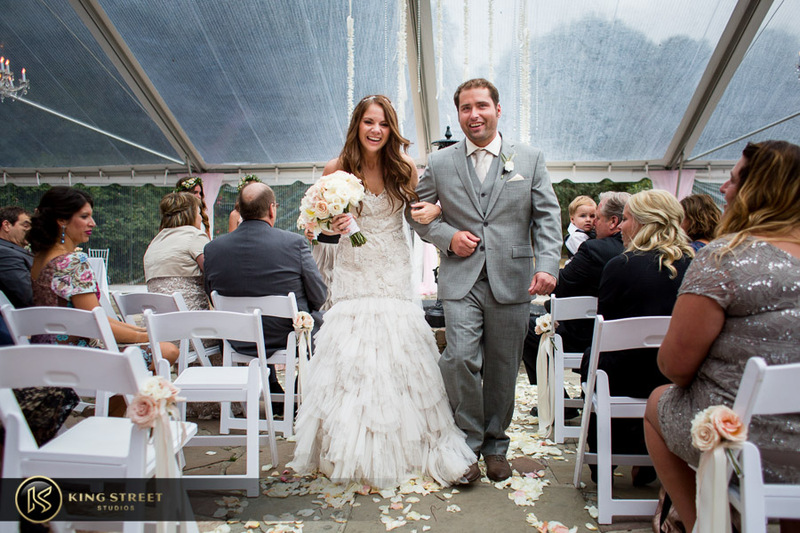 As the dinner and toasts came to an end, Randi and Ross exited through a different kind of shower than what they walked through earlier in the day: a shower of rose petals. 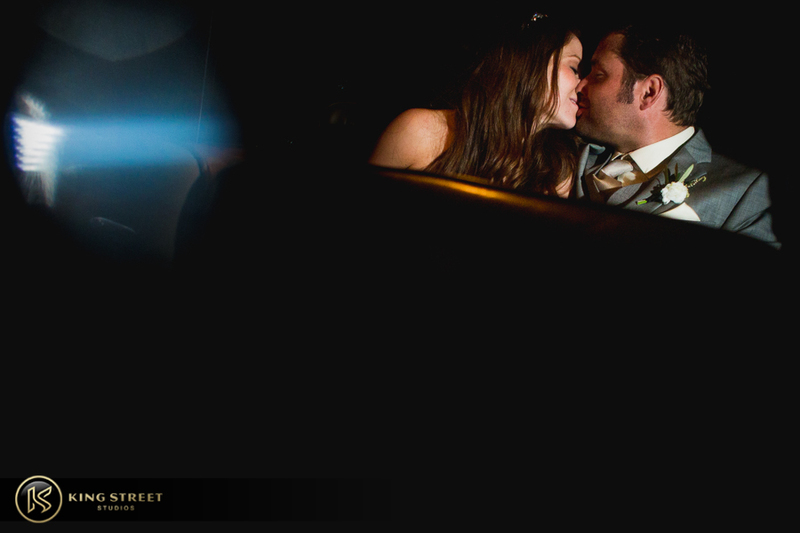 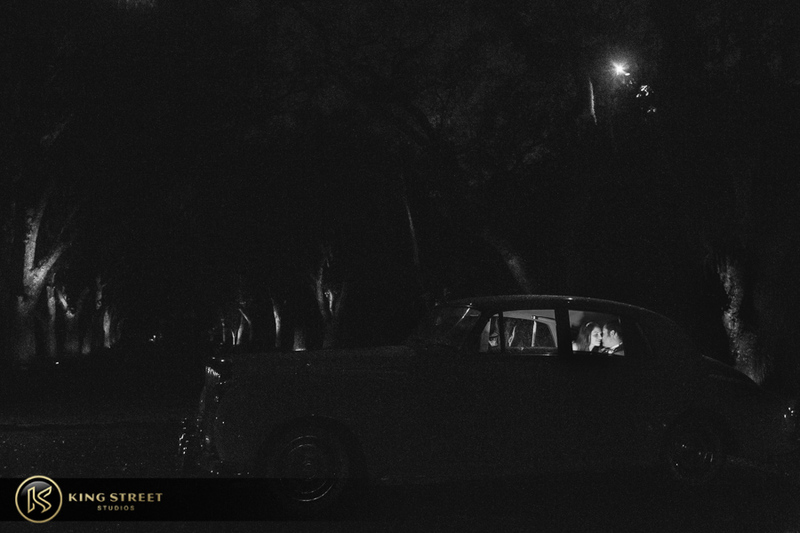 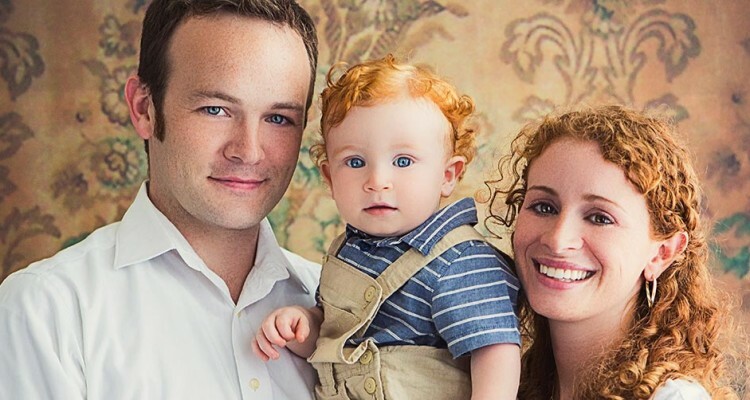 They hopped into a classic car and began their lives as newlyweds.